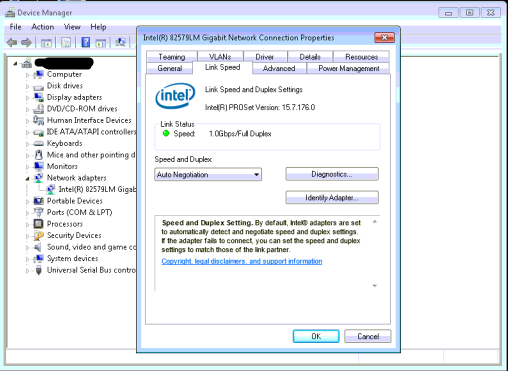 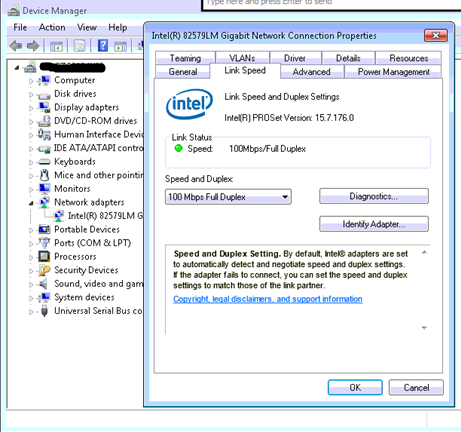 You may find that Network and/or Internet speeds are very slow when using an Intel Network Adapter. 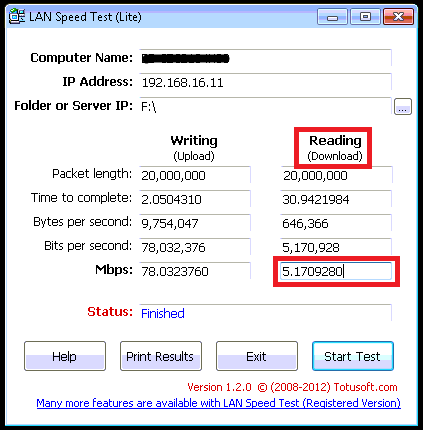 This appears to be an issue with the Speed and Duplex settings, after a Driver update or installation you may notice that the Speed and Duplex is set to 100 Mbps Full Duplex. 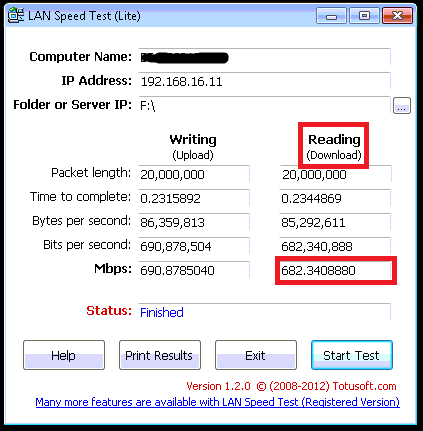 When running a LAN Speed Test it only reports a Read speed of 5 Mbps and Internet Speed tests also report terrible Download rates.